There's a lot of speculation about these two, but I really don't care for that. It's their business. 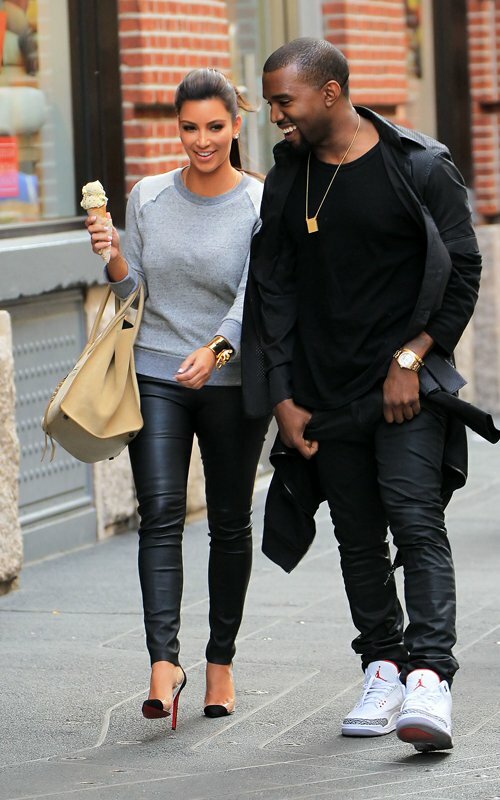 What I DO care about is Kim's outfit, which I LOVE. Again she's embrasing the sporty vs. chic look and it's my favorite trend of now. I really love that sweat. And those Louboutins - CUTE!